They ran blindly, the corridor behind them stretching into darkness, their torches throwing flickering shadows against the dank walls. At last the sounds of pursuit faded in the distance, and they stopped to catch their breaths, hoping that the torchlight could not be seen by enemies. They were hopelessly lost now; there had been too many twists and turns in their wild dash for safety. It was a miracle they had managed to stay together: Cugel the Clever, Thed the Cleric and Baldar the Baleful. Behind them, they knew, a band of troglodytes –large lizard men with crocodile jaws and a yen to kill anything that resembled a human — would be sniffing out their trail. And no matter how faint that trail might become, eventually the troglodytes would find and follow it. With no food and only one day’s supply of water, things looked grim. In desperation, the fugitives turned to the dungeon master for help. The dungeon master, imperious and arbitrary as any god and only slightly more forgiving, considered the situation. Cugel was a halfling thief and the brains of the outfit, but not completely reliable. Thed was a rather timid, elf-like devotee of Purna, Goddess of the Mystic Pathways. Baldar was a human warrior, tall, powerful and not nearly as stupid as he looked, though much too inclined to swing his broadsword first and ask questions later. Thed, embracing the suggestion eagerly, directed a prayer to the mighty Purna and, while the others watched in unconcealed horror, poured out the last of their water in an intricate pattern on the tunnel floor. It was not wasted. In response to the offering, a ball of light appeared in the corridor ahead of them, then drifted away, disappearing around a bend to the left. They followed. There, some 50 feet beyond the turn, they could see that the ball had paused and was bobbing up and down before a doorway. Then it went out. When they reached the door, Cugel the Clever was able to pick the lock, and they found themselves in a large storeroom filled with foodstuffs, casks of water and other supplies like rope, lanterns and oil. For the moment they were safe. The party could re-equip, rest and move out again in as good shape as ever. Whether they would survive and emerge again into the light of their own world woutside this massive dungeon would depend on a combination of courage, cleverness, endurance and plain dumb luck. They might well die here instead, meeting their fate at the next turn in the corridor or the opening of a seemingly harmless door. They might also, if they managed to balance greed and prudence, survive and escape with treasure. Their future was largely — though always subject to the vagaries of chance — in their own hands. Welcome to Dungeons & Dragons, the hottest, most addictive, most incomprehensible board game in America. It is a game designed to challenge and amuse the best and the brightest, from the prepubescent whiz kids who used to drive their mothers crazy installing better woofers in the family stereo to successful doctors, lawyers, engineers and professors who yearn for an outlet for their underused imaginative powers. Since Dungeons & Dragons was introduced in 1974, about two million games have been sold, and currently it is outselling that perennial best-seller, Monopoly. Indeed, Dungeons & Dragons is to other kinds of board games (actually, there is not even a board) as War and Peace is to The Bobbsey Twins at Home.” That’s because Dungeons & Dragons is a game of fantasy, and as such it is played out in the limitless expanses of the mind (as the best fantasies always are). The game has won enemies– it has been banned in some communities as the work of the devil. And it has spawned a host of imitations, as well as specialty magazines and computer versions. Predictably, it has achieved its greatest popularity where fads always reach an extreme: college. Every night of the week during the college term, all across America, small groups of students gather in dormitories and abandoned classrooms and for hours on end weave their way through the game’s intricacies, heatedly debating such arcane matters as whether or not an adventurer with no hit points left is really dead or merely comatose. You might think that if you pay your 10 bucks for the starter set, figure out the rules, get a dungeon master and negotiate all the tunnels and trolls successfully, you have “won” the game. You fool, you. This is the game that never ends. You have won nothing but the right to fight again, to struggle against all odds, perhaps to lose everything, but always to know the thrill of victory and the agony of defeat, as the sportscasters say. Typically, after you emerge from the dungeon with your booty and a string of unusually shaped corpses behind you, you’ll return to your castle keep and enjoy all those little pleasures that treasure can buy. In no time at all, though, you’ll begin tiring of life as a big shot in your stifling little hamlet on the outskirts of the Endless Wood. Face it: Jugglers in the afternoon and dancing girls at night are just not the big time you thought they would be before you scored. Soon you will get the itch again. Baldar will drop around, looking baleful as usual. Together you will sip rare Falernian wines and talk about the good old days. Pretty soon he’ll suggest a little adventure. You’ll go out together to mull it over with Cugel — always hard to dislodge from the dancing girls– and what with a Ho and a Hey Nonny Nonny, or some such thing, you are loaded up and off again into the great unknown–because, my fellow adventurers, that is unquestionably where the action is. It would be nice if we could say the instructions for Dungeons & Dragons were discovered on a runic tablet somewhere in the Black Forest. Actually, Dungeons & Dragons is the official name of a game manufactured by TSR Hobbies Inc. in utterly un-mysterious Lake Geneva, Wisconsin. In England there is a virtually identical game called Tunnels & Trolls. Dungeons & Dragons is also played in France and Sri Lanka, and probably in Tierra del Fuego, for all we know. 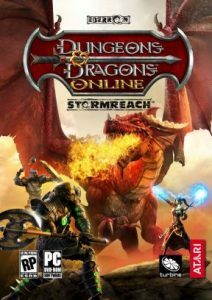 Thus, while the game is supposedly the creation of TSR and its resident genius and majority shareholder, Gary Gygax, it is actually a variety, or species if you will, of a genus of games known to aficionados as “FRPs,” or fantasy role-playing games. These are not new at all. FRPs are an outgrowth of war-gaming, which has been around for centuries, if not millennia. When you were a little kid (if you ever were a little kid) you would plop yourself down on the floor and line up little soldiers and obstacles and guns and imagine you were Napoleon or Caesar or Geronimo or Attila the Hun, depending on your predilections. Today, thanks to Dungeons & Dragons and similar games, you –the grown-up, stuffy, button-down lawyer in wingtips, or the Wall Street Journal-reading Paoli Local-riding stockbroker, or the T-shirt-clad, beer-drinking roofer — can continue to exercise your imagination and indulge your megalomaniacal fantasies. You can walk into a store like the Strategy and Fantasy Workshop on Walnut Street, or the toy department of virtually any other store, for that matter, and be overwhelmed by literally scores of FRPs, ranging from the seminal Dungeons & Dragons to games like Gamma World, where you can move through a hypothetical future Earth that has been devastated by nuclear war, its ruined cities roamed by mutants. On the other hand, you might choose to travel through Greyhawk, a medieval world where you can play the role of a knight, a friar, a minstrel, a damsel in distress or a rogue baron. Or you might wish to fly through the galaxy with Captain Kirk and Spock and the crew of the Starship Enterprise, venturing boldly where no man has rocketed before. Battle the dastardly Klingon Empire or be one of the Klingons if you want. There is also Zulu or Pirates or Panzer Leader or barbarian. It’s a universe as infinite as your imagination. Fresh from the box, Dungeons & Dragons is nothing more than a 48-page instruction manual, a drawing of a sample dungeon and a set of peculiarly shaped dice. 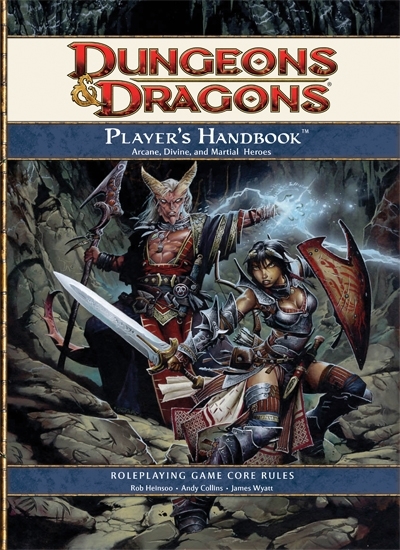 The instruction book is written largely by Gary Gygax, TSR’s head, who is a failed novelist and former shoe salesman. A quick scan of the manual makes it amply clear why Gygax’s novels were never published. It’s virtually incomprehensible. That so many kids have learned how to play the game anyway is truly a testament to modern youth. The beauty of the game— and the basis of its popularity –is that it depends not so much on the instructions as on the concept of fantasy role-playing and the compilation of probability tables to determine the outcome of a great range of events. What comes in the box serves basically as a template, providing the ground rules for an ongoing process of imaginative jousting that can be endlessly expanded and embellished. Once the rudiments of the game are understood, the rest is learned quickly through play rather than further reading. To explain how the game works in more detail is not easy, but we’ll try. Before the start of play, you assume a character whose essential traits are determined by rolls of the dice. The first throw, for example, might determine intelligence; the second, strength; the third, leadership ability; and so on. After recording the traits assigned by chance to your character, you take a look at what you’ve “created” (something every parent must do eventually). After your character is complete, you give him a clever name and some equipment. Your relationship to the dungeon master is much like that of an acolyte dealing with a very complex computer. It is the dungeon master who has determined, beforehand, the basic scenario of what is to happen. From time to time a situation arises that calls for the intervention of chance–that is, a roll of the dice. For example, suppose you decide to fight the rat and it bites you. His bite happens to be poisonous, but it is unclear whether the poison is lethal enough to kill you. A throw of the dice will determine the probability of your surviving. Dice may also be thrown at regular intervals to push the game in new directions. The dungeon master, for instance, may decide that too much time has elapsed since you were last mangled by a monster. A toss of the dice at this juncture may put you in touch with a scaly, four-fanged gut-sucker (or some simlarly horrible beast), and some accommodation, to be sure, will have to be worked out. Within the game’s general outlines, you can create any world you wish, and many players soon do. For the true addicts and cognoscenti, there is a regular monthly glossy magazine called The Dragon that deals with problems of play. A similar magazine in Britain is called The White Dwarf. 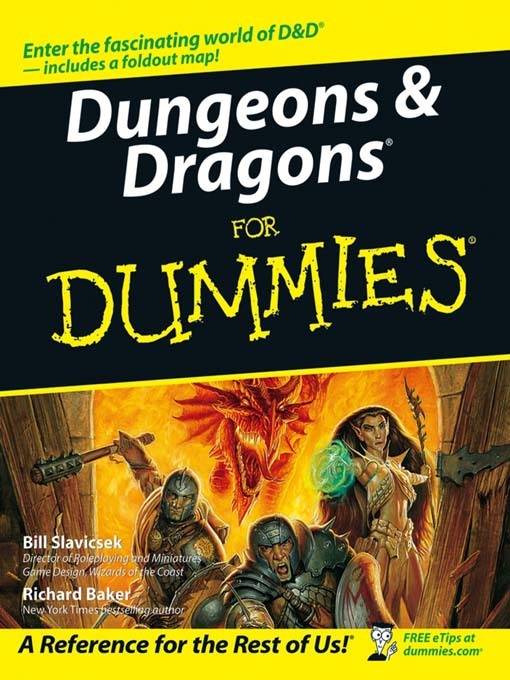 Both publications contain articles on such as “When Is a Character Really Dead?” and “Treatment of Permanent Disabilities in Associated Worlds.” But such expertise — and the toy figures of knights, trolls, battle cruisers and psionic mutants that some players make or purchase– are not really necessary. Indeed, it is often said of Dungeons & Dragons that it is played largely in the mind. This is not true. It is played entirely in the mind. But of course! Steve’s World! Why stop at being the lord creator of a mere dungeon? Steve Hardinger, at other times a player (adventurer) in other dungeons, has created his own world. Hardinger, who resembles a typical college student (you know, unkempt hair, slightly overweight, wrinkled shirt and jeans), is an engineering student who lives off campus in a typical off-campus student room typically decorated with posters of extra-terresterial landscapes and monsters, including an enormous picture of Conan the Barbarian hacking his way through a horde of animated skeletons. Play proceeds as a continuing conversation –statements of action and reaction –between the dungeon master and the adventurers and among the adventurers themselves. Whether the make-believe action takes place above or below ground, the field is commonly referred to as a dungeon. You must be able to consult your monster manual, because otherwise you might not know what to expect when you run into say, the quivering green slime, or the giant black pudding, not to mention the great poisonous tick or such a formidable creature as Chung the Unavoidable. That is to say, you would not know what the thing is capable of doing, and so how to defend against it. Or whether you need any defense at all; not all the creatures you will meet are hostile. These creatures will have not only their own strengths, weaknesses and bizarre powers but also their own personalities. Monsters are, after all, just like anybody else, only more so. At this point you are probably wondering, “Why can’t all this stuff be programmed into a computer so the computer can act as dungeon master?” Good question. Actually the game has been programmed into a computer, and for the increasing number of people who either have home computer consoles or have access to one at work or school, there are programs available under such names as “Adventure,” “Labyrinth” and “Warriors” that can be plugged in and played one on one. These programs are, in fact, the most popular form of home entertainment computer software, outselling nearly every other kind of computer game several times over. 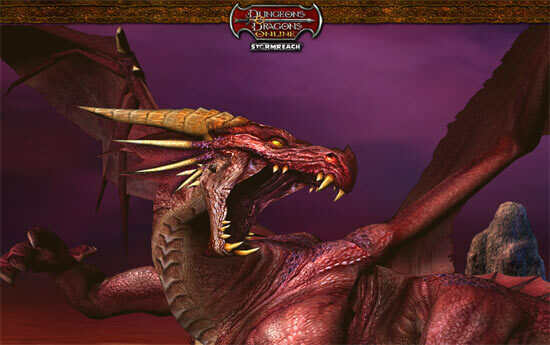 Nevertheless, most Dungeons & Dragons devotees find the computer games unsatisfactory. As David Smith, one of the players at Drexel, noted rather resignedly, “A computer just can’t deal with these kinds of complexities.” So you’re going to have to play this one with people. Let us begin. “You’re trotting through a marsh,” says Steve, the dungeon master. “What’s your marching order?” By that, he means he wants to know where everybody is, so that in case a monster pops up he will know who is in a position to engage, get zapped or whatever. The adventurers confer for a moment, and then one of them announces what he calls their “marshing order.” Steve orders a “saving throw” to be made against death from bad puns. At this point the players begin arguing among themselves over just where they are in the marching order. This is a big mistake. The DM tells them three trolls have suddenly appeared in the marsh, and since the trolls hate humans, they immediately attack. Though there are 11 adventurers in this group and only three trolls, some of the adventurers are cowards and hang back from the fight. Others are ill equipped for battle, being magicians or clerics or such, and so must hang back of necessity. The trolls, on the other hand, are heavy-duty. One of the adventurers takes the great risk of pausing in the heat of battle to show a visitor what a troll looks like in the monster manual. “The art work in these things is third-rate, and the writing is tenth-rate,” he says. He is being generous. Meanwhile, back in the dungeon, the trolls are being cut down by those of the crew willing and able to wield an aggressive sword. There’s just one problem: These are no ordinary trolls but regenerating trolls; after they are killed they come back to life and fight even harder. Hildebrand, an elf thief, is in fact killed by one of the revived trolls, and things are going from bad to worse when Elandrin, an elf magician, steps in and uses his “charm monster” spell. This immobilizes the trolls and saves others in the party from being killed, but, as with many other things that seem a godsend at the time, the spell has its own problems. It can, for example, be used only once, and so is not available to the group again should another, perhaps more serious monster problem arise later. It also puts one of the trolls in Elandrin’s thrall, which is to say the troll becomes his slave –but, unfortunately, for an indefnite and unknown period. At any time the troll could come out of the spell and kill Elandrin. Life is like that sometimes. Now they file down a corridor, through a hidden doorway and into a room that, according to previously obtained information, will lead to a fabulous treasure. Alas, military intelligence was wrong again. The room turns out to be the main dining hall of a large company of troglodytes, and it is chow time. Pandemonium ensues. Several adventurers duck back into the corridor and start running. Elandrin stays to slug it out and starts throwing fireballs generated by a magic ring. Other adventurers wade in with more conventinoal wepaons. The acrid smell of burning flesh (says the DM) fills the room as several fireballs begin to incinerate the troglodytes. The DM counters with a group of ogres, who enter from another door and throw a cold spell that nullifies the magician’s fireballs. The combat is hand to hand now, and many adventurers bite the dust. Elandrin’s captive troll also packs it in, never really knowing what hit him. The first few minutes have seen the death of many troglodytes as well as of Tor Agard the monk; Elandrin the valiant magician; Rawlings C. Weatherbury, a thief; the female warrior Hence (as in “get thee hence”); Levron, an elf-magician, and one mule that some optimist brought along to help haul treasure. What next? Well, try using your imagination. At this point, we must leave the happy group at Drexel for a word from the experts. Something for sure is going on here. And not everybody is happy about it. The funny-looking mild-mannered kid down the block throws magic fireballs at anything that moves, and asks questions later. The girl who sits shyly in the back of her class and never says a word blithely plays the role of a high priestess of mayhem. Yeah, something’s goin’ on. But is it dangerous? The nub of the matter is that Dungeons & Dragons is a journey, a quest — for treasure, the Holy Grail, immortality — the usual. With such rewards at stake, it is not surprising that one would risk everything, dare anything and, yes, even sometimes, succumb to the temptation to do dastardly deeds and unspeakable acts. In short, a lot of blood gets spilled. Though it is all imaginary blood, critics of the game (did we forget for a minute that it is a game?) have voiced the fear that the players may be retreating from real life (whatever that is). Last month fundamentalists in a suburb of Sacramento, California, succeeded in having the game banned as the work of the devil and a device “straight out of hell.” It had been offered as part of a summer play program in the parks of Rancho Cordova and been fully booked. In Hutchinson, Kansas, an evangelist threatened to buy up every game in town and burn them. The Christian Research Institute in Southern California mailed out warnings to members across the country. The radio evangelist John Torell warned his listeners that the game is actually a “demonic religion.” All these folks were well behind the watchful town fathers of Heber, Utah — they banned the game a year go. Of course, these people are probably (we could roll the 20-sided die) not players. Some of the reaction borders on hysteria, but the fear is somewhat understandable. People who do not play the game and feel they cannot even understand it are often a little afraid of those who dcan, because players of the game tend to be very bright. In Los Angeles, Joy Weisel, a psychologist, watched her son go deeper into Dungeons & Dragons for months. She did not panic. “I think it’s a good thing,” she says. “It is intellectually very challenging. And fantasy is a great way to work out psychological issues. In every culture there are fantasies and myths that respond to basic human conflicts and needs. One of the things Holmes and other experienced players have noticed is the tremendous tolerance players show for their companions’ bizarre behavior. They will shrug at their bad points — a propensity to get drunk, go brawling, cheat on the treasure count, etc. — and savor them for their good points –courage, resourcefulness, whatever. On a table that occupies nearly the entire ground floor of his small trinity house, Driggs has set up a complete castle with grounds, shrubbery and dozens of miniature figures. Seated around this are 10 people ranging in age from 16 to 40, eight men and two women. They meet once a week to continue the never-ending (or so it seems) battle against repression, despotism and subversion of the Varnian way. It’s not easy. And since these adventurers have been traversing Varna for a long time, everyone is more or less familiar with the territory, and the action can proceed immediately. We would love to describe to you the beautiful rolling plains and quaint little villages that make up the countryside of Varna, but unfortunately this particular battle is taking place 5,000 feet underground. At this very moment, in fact, the adventurers are being confronted by a Lich named Zisco. A Lich is a creature of great magical powers and limitless evil. Zisco is the sort to give even these types a bad name. The adventurers all met him in another encounter several months ago, and he remembers them. “Why not let bygones by bygones?” he says through the dungeon master and, rather generously, it seems, offers the adventurers the key to the universe. They, however, are wise to this ploy, knowing that the key to the universe actually comes in three parts (what doesn’t), of which they possess only one. One of the clerics, smelling big trouble, immediately hurls a holy bead at the Lich. Such is the power of this bead to counteract evil that the Lich is immediately thrown into spasms of agony. These are acted out by Driggs, who takes his role as dungeon master very much to heart and throws his body against the wall of the house in reaction to the holy bead. “I lose about five pounds during one of these sessions,” he says nonchalantly later. Most DMs just talk the players through the game. The Lich casts a spell that transforms the magic bead into a small dragon (very small — about three inches). Then the Lich magically creates a cylinder that permits access to another, faraway part of Varna (the cylinder is sort of a space warp instead of a time warp). He means to force the party through this cylinder and into a repository of his own making that will ultimately prove to be of little benefit to them. He has miscalculated, however. Through the warp cylinder, as if awaiting just this opportunity, comes an iron golem (a robotic creature manufactured from the dead) named I.G. Farben. He happens to be an old friend of the adventurers. I.G. Farben is closely followed by Snow White and the Seven Dwarfs and a World War II German Tiger tank commanded by a Wehrmacht officer named Fritz. It should probably be noted at this point that Snow White and company are also friends of the adventurers and that Fritz, having been displaced from his world by an earlier space warp, is confused about the general state of affairs here in Varna but is trying, in his Teutonic way, to make the best of it. No one is quite sure what this means, but they certainly don’t like the look of it. The skull radiates evil, and the candlesticks have started to smoke a bit. One of the good guys succumbs to greed and tries to grab some of the diamonds. This act causes the skull to split, burning his hand, and as the skull cracks open, the Lich is magically transported away from the scene. Using the clylindrical space warp, the adventurers are able to follow the Lich to a point above ground, where they enter the courtyard of the castle. It is here that the final struggle will occur. The Lich named Zisco has barricaded himself in a stone fortress across the courtyard, and the adventurers must oust and kill him to gain his third of the key to the universe (bet you forgot about the key to the universe). Ordinarily, this fight would be no contest, considering the massed powers the adventurers have at their command, but, like most groups, they can’t seem to get their act together for a concerted team effort against the Lich. A battle royal ensues. The battle, like all battles in Dungeons & Dragons, is fought by the rolling of the dice with different numbers of sides –some six-sided like common dice, others with four, eight, 12 or 20 sides. The numbers coming up on the dice determine the outcome of various events according to a written table of probabilities either provided with the game or written up just for this particular world by the dungeon master himself. Snow White metamorphoses into a large (enormous, in fact) gold dragon named Bahamut. Fritz loads the turret gun of this Tiger tank with armor-piercing shells and begins banging away at the Lich’s fortress shelter. Then down from the skies in a black tie-wing fighter comes Darth Vader (yes, Darth Vader), who, as chance would have it, has in his possession the third part of the key to the universe. There is obviously, a lot of potential here to pull off a big score by putting all three parts of the key together, if the adventurers can only wrest the piece from Darth Vader (and this, as we know, is not going to be easy). Fritz, meanwhile is having success with his shelling of the Lich’s fortress. I.G. Farben is assisting by lobbing drums of gasoline into the structure and burning out the Lich’s henchmen. Still the Lich continues to hold out to the last, and no one has done anything to prepare for the approach of Darth Vader. A lot of the adventurers are running around the courtyard like chickens, and some of them have just huddled behind a rock to sit things out. Finally, Bob Stecker, the school board administrator, calls out his genie for a little help in this hour of need. Darth Vader lands and kills the genie by means of the Force (hey, where have you been, anyway?). This is, as we said somewhere before, the game that never ends. You would think that if you carried through the battle of Varna, or whatever, to its conclusion, the game would be over and you had won (or maybe Darth Vader had won). But you could just as well continue and settle into the problems of administration of the newly liberated, or subdued, territory. You’ve got the transit system to deal with, the PTA, and the League of Disaffected Monsters wanting weekly garbage pickup in the dungeon. And soon you will undoubtedly have dissident elements seeking to overthrow your undoubtedly virtuous but somewhat boring administration. There is nothing for it but to take sword in hand, gird your loins, put some pemmican in the backpack, etc., etc. Allow me to provide just a few words of advice: Never turn your back on an armed Orc, and don’t touch the native women unless you boil them first.